It took over a day to remove the “oil tank room” wall because it was poured concrete with steel rebar. 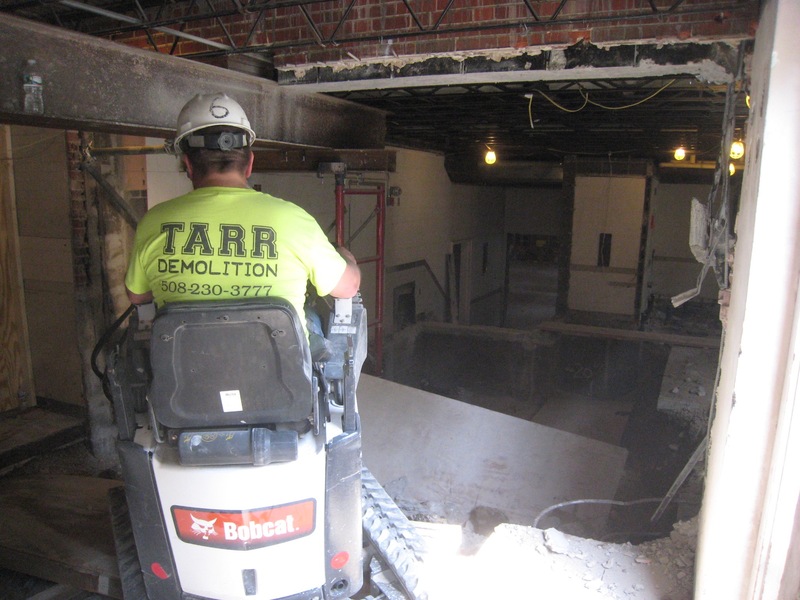 The concrete diamond saw blade was employed to cut through this foundation wall initially, then the Bob Cat with an jack hammer chipped away at it for many hours more. 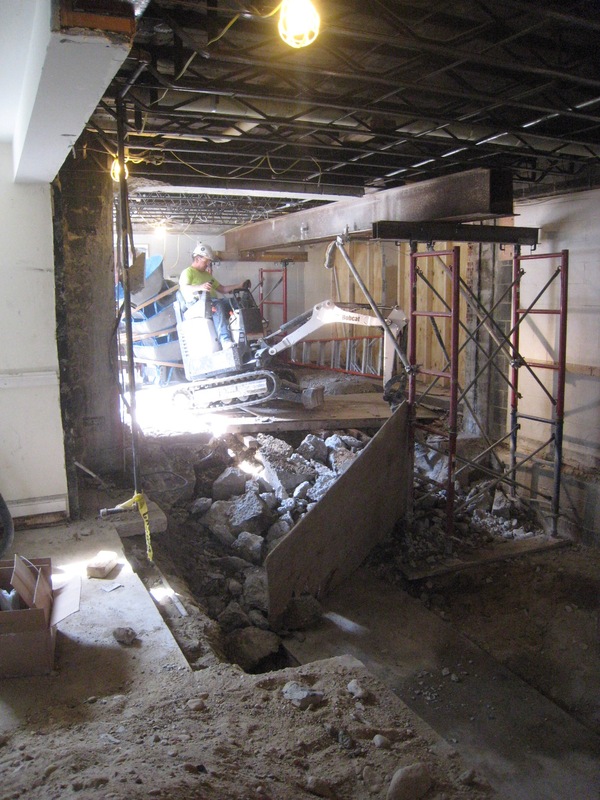 Note the steel beam was temporarily placed to support the ceiling while the wall is removed and then a support column is built in the middle between the elevator shaft on the left and the new hallway on the right. Finally! 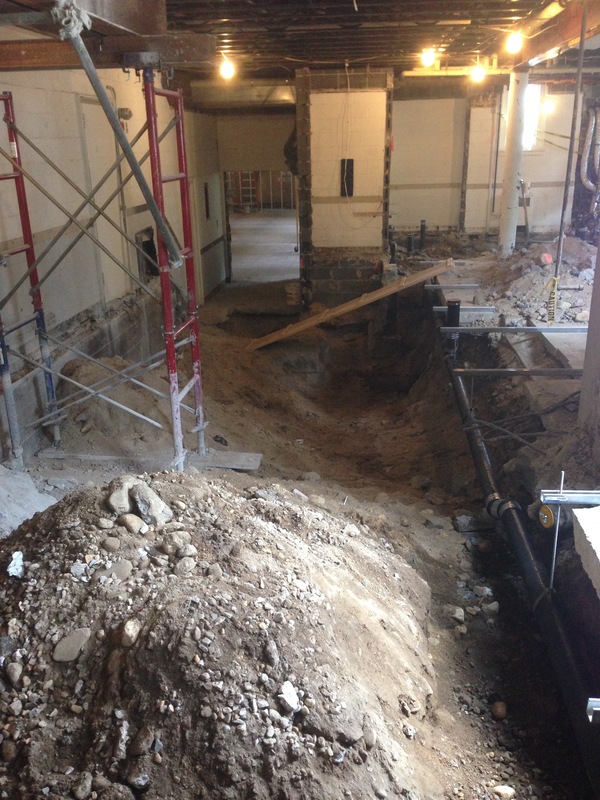 The wall is down and you can see all the way to the Great Hall. The GH steps are next. View from the bathroom area. Good view of the “shoring” that supports the office and hallway outside the office. A speciality company cuts through the concrete using huge, expensive saws. 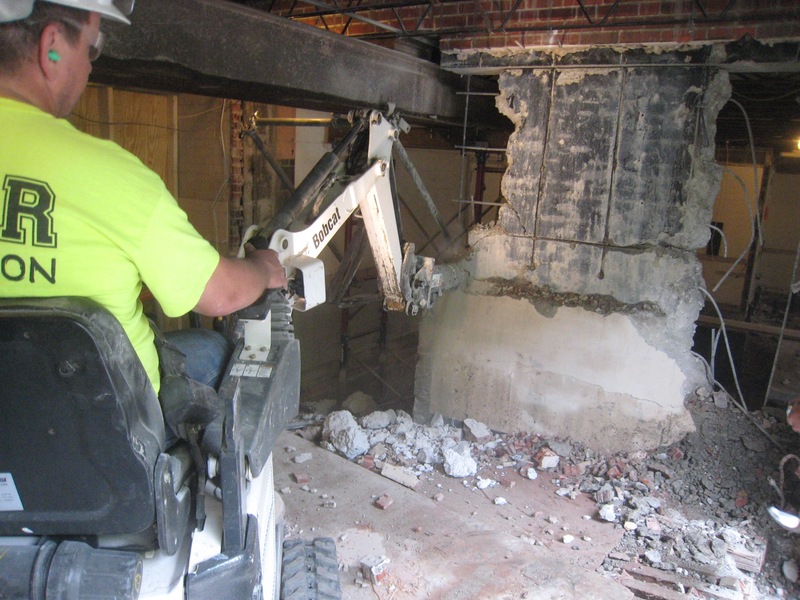 Here they are removing the wall below the boiler room door so we can enter from the same levels as the Great Hall. 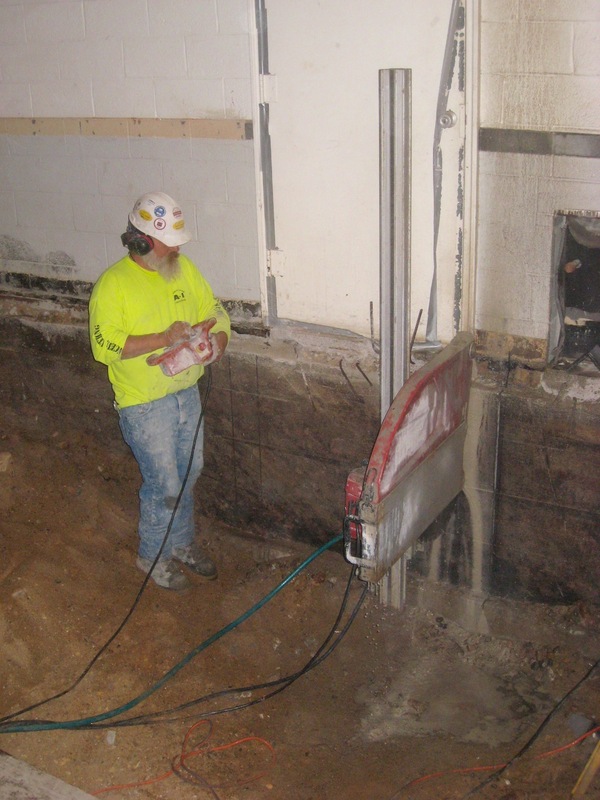 They drill and attach runners for the saw blade and motor. He is holding the remote control unit. 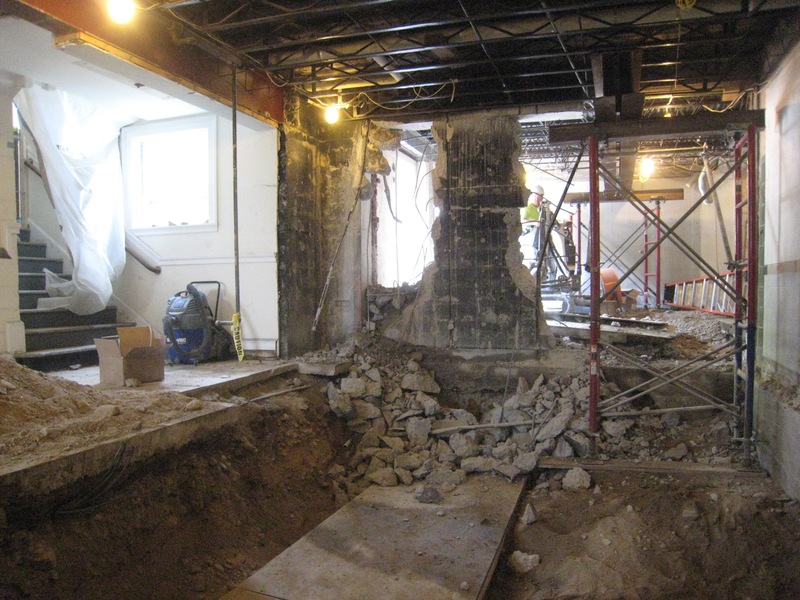 Steps to the Great Hall have finally been demolished and the new soil pipe has been installed to circumvent the elevator shaft area. Demo is nearly complete!